Totem Condos has just opened their sales office and model suite for VIP Agents (such as myself). 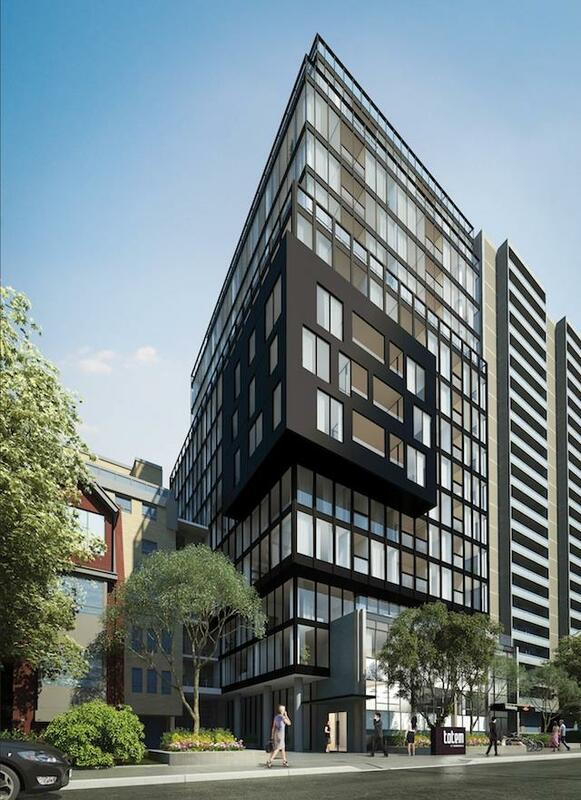 Totem Condos will be located at 17 Dundonald St in the Yonge and Wellesley downtown area, just five blocks south of Bloor Street. Developer Worsley Urban Partners is going to build an 18 storey modern mannerist tower, with the help of architect RAW Design. They plan to preserve the façade of the existing 3 storey early Toronto modernist building currently located there. Totem is going to be unlike anything Toronto has ever seen with a series of illuminated carefully stacked boxes – contemporary cubist architecture. Totem will consist of 120 units. Preview pricing starts in the mid $300’s, with available units ranging in size from 503 sq ft to 798 sq ft. Amenities will include a gym, party room and roof-top deck.